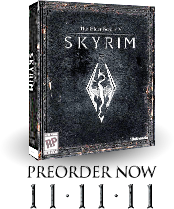 ©2002 Bethesda Softworks Inc. A ZeniMax Media company. The Elder Scrolls, Morrowind, Daggerfall, Arena, TES Construction Set, Bethesda Softworks and ZeniMax are registered trademarks or trademarks of ZeniMax Media Inc. Xbox and Microsoft are registered trademarks of Microsoft Corp. Other product and company names referenced herein may be trademarks of their respective owners. All rights reserved.